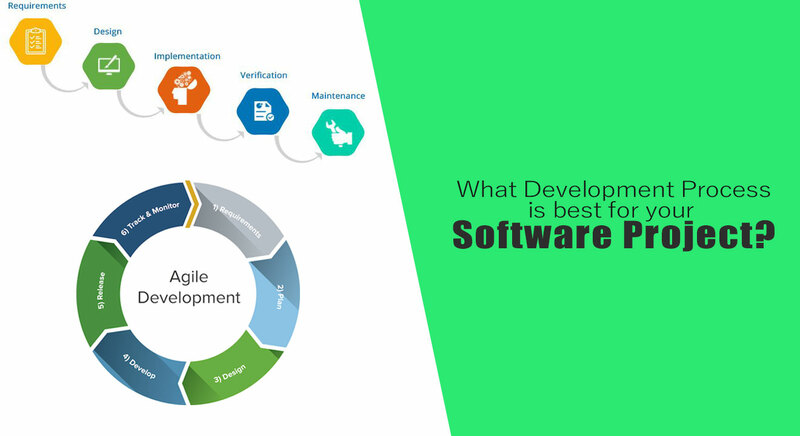 Finding the right development cycle for your project is very important. But with so many options, it can be very confusing for you to figure out which one is the best. There are lots of unique ideas for you to consider here, with SCRUM and Waterfall being the best ones. But which one works better for you? SCRUM is one of the most popular process frameworks for implementing Agile, and it’s also a control process toolkit which is iterative and flexible. The idea behind it is it allows you to lower the complexity of a project. It also boosts your focus on creating products that offer you all the help you need for your business necessities naturally. In the case of SCRUM , the iterations of fixed length are known as springs, and these can take 1 or even 2 weeks until the team delivers the software module. The SCRUM approach is focused on harnessing agile methodologies. And form a very efficient framework that you can use to follow tasks and manage responsibilities and meetings. That makes project management and development a lot easier in the long run. There are 4 main ceremonies of SCRUM that offer structure for all sprints. These are sprint planning, sprint demo, sprint presentation and daily standup. During each spring period, you will get to use some visual objects in order to obtain gradual feedback and showcase signs of progress natural. You will notice 3 main roles in the case of SCRUM. You have the product owner who represents your business. Then you have the SCRUM master which defines the sprint planning, daily SCRUM and spring retrospection. And lastly, you have the SCRUM team, usually consists of 5-7 members which focuses on the project development. Waterfall which might be more appropriately called the “traditional” approach is a model that brings in front a strict and linear-sequential life cycle unlike the flexible nature of the agile methodologies. It’s very easy to use, and it requires you to complete each phase before you go to the next one. The Waterfall model originated in the manufacturing and construction industries, both highly organized and well structured environment where changes can be too expensive or sometimes even impossible. The key concept behind Waterfall model is planning the whole project at the very beginning and then following the planned stages till the product is delivered. This means that the team goes through every stage in a linear way and can neither move forward without finishing the previous task nor move backward. This is a very good development approach if you have smaller projects with precise requirements. You need to review them after completion, and that will help you figure out if the approach you have is good or if you need adjustments. There will be some testing, but that happens only after the completion of the entire development experience. That’s why Waterfall is a very good option when you have concrete, professional project requirements. The method is easy to use, doesn’t require special training or extra managerial positions, like in some other practices. Scrum and Waterfall are such opposites that it’s hard to say which one is better. The choice depends on the project and on some other factors related to the organization. When considering Waterfall model, planning risks are very high since all the phases of development depends on the previous phase’s result. Poor planning is much costlier due to the strict budget and time limits. Waterfall is offering a good approach for the smaller projects since planning is much easier than large scale projects. It offers a sequential pattern that’s similar for every project. There’s no phase overlapping; everything is worked on step by step. It is a better approach to use in case of an inexperienced development team. You will need documentation for every phase, which makes coding and testing a lot easier. Simply, Waterfall model is best for Projects where you’re working with other organizations or remote workers, Projects with a fixed scope, time and budget, Smaller, well-defined and simpler projects and for Projects with an absent client. SCRUM, on the other hand, offers enhanced responsibility for each one of the team members as there is no project manager telling the Scrum Team what to do and when. Instead, the team decides by themselves what work they can complete in each sprint. They all work together and help each other, improving teamwork and empowering each team member to be independent. This increase team accountability. It also comes with an increase in transparency and project visibility, and you can also make the amendment process a lot easier as it has short sprints and constant feedback throughout the development process. Not only that, you have enhanced quality and reduced expenses, all while having a shorter time to market and by having constant communication among team members. It helps to make awareness of all issues and changes as soon as they arise. Scrum is implemented in many software development teams throughout the world, and most Scrum projects are considered successful. The foremost disadvantage with implementing Scrum lies in comparatively high financial and time investments needed to start working. Scrum team requires to have a proper experience and commitment. Specific Scrum rules and practices have to be taught by an invited Scrum-master, and even then teams typically slowly adapt to the changes. Therefore, a wise change management is required. Both technologies are very efficient, so it’s important to test them out and see which one works for your business while keeping in mind the scope, risks, and obligations of your project. General argument is if you have a clear picture of what the final product should be, you have fixed requirements that won’t change, and you’re working on a relatively simple project, the Waterfall is a better choice than Scrum. And similarly the opposite If you don’t have a clear picture of the final product, you anticipate changes, and you’re working on a complex project, Scrum is superior. Normally Waterfall is great for smaller scale projects, whereas SCRUM works great for just about all types of projects!